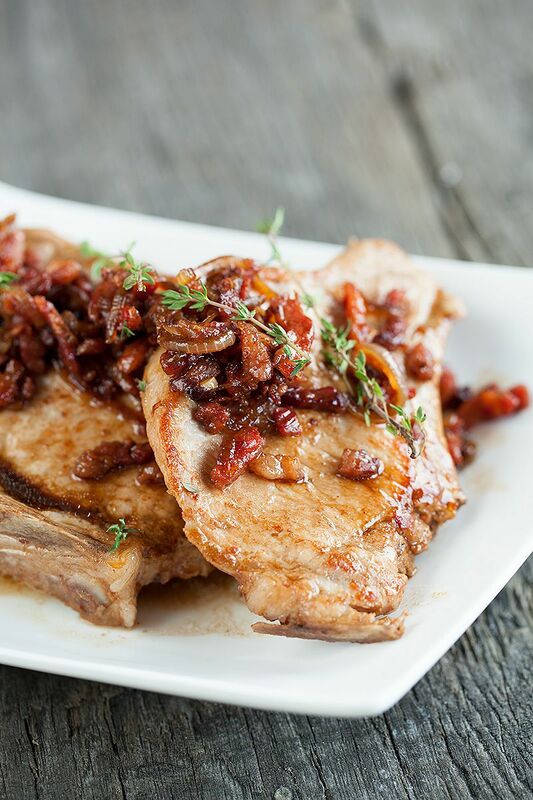 Combine pork chops and bacon for a plate full of the good stuff! No sink full of dishes and ready in 20 minutes, doesn't that sound perfect? Cut the onion into half rings and finely chop the garlic clove. Rub pepper and salt on both sides of the pork chops. Be careful with the salt, the bacon you’re adding later on is also salty. 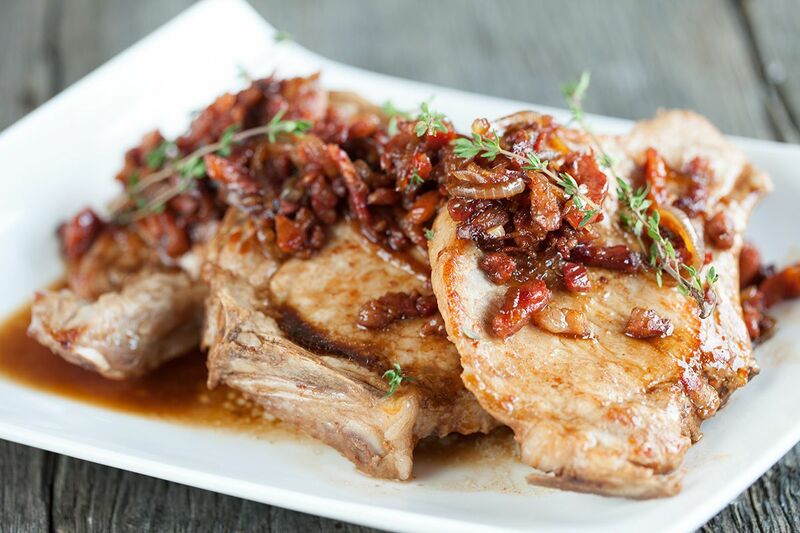 Brown butter in the large skillet and cook the pork chops 4 to 5 minutes on each side, or until golden brown. Remove from the skillet and set aside. Reheat the butter and add a little bit of olive oil. 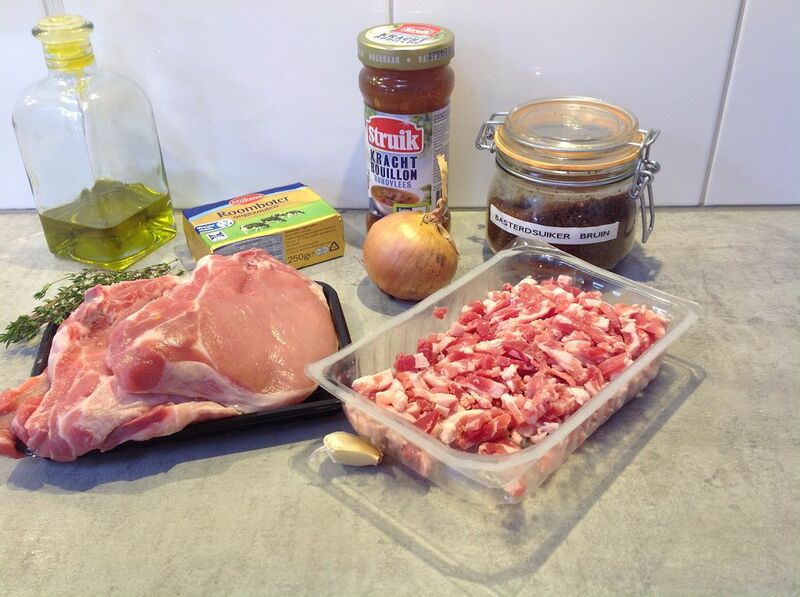 Sauté the bacon strips for a few minutes, add the onion rings and after a few minutes more, add the chopped garlic. Stir in the brown sugar until it is caramelized. This will only take a few minutes. Pour in the beef stock together with the thyme sprigs and let it simmer on low heat until the desired thickness has reached. 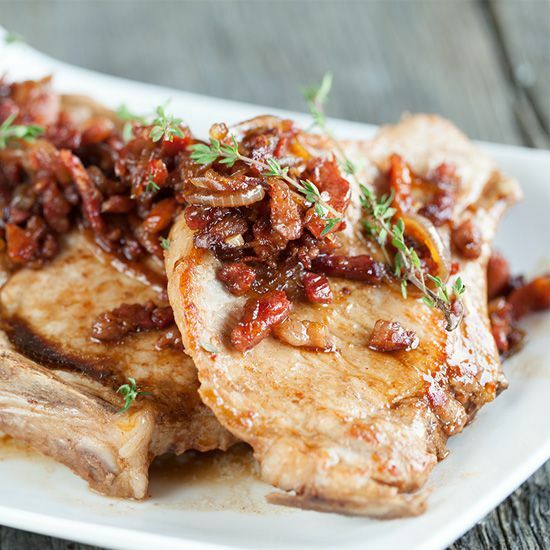 Remove the thyme sprigs and transfer the pork chops back into the sauce. Reheat the pork and serve immediately. We served this dish with potatoes and a colorful ratatouille, we loved the combination. It’s a plate full of flavors, try our ratatouille recipe.